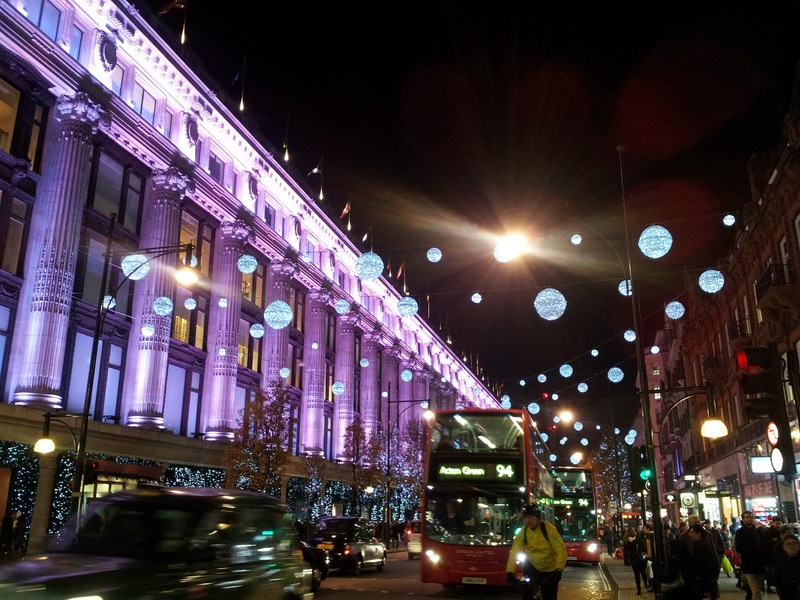 London celebrates Christmas and the festive season wonderfully. 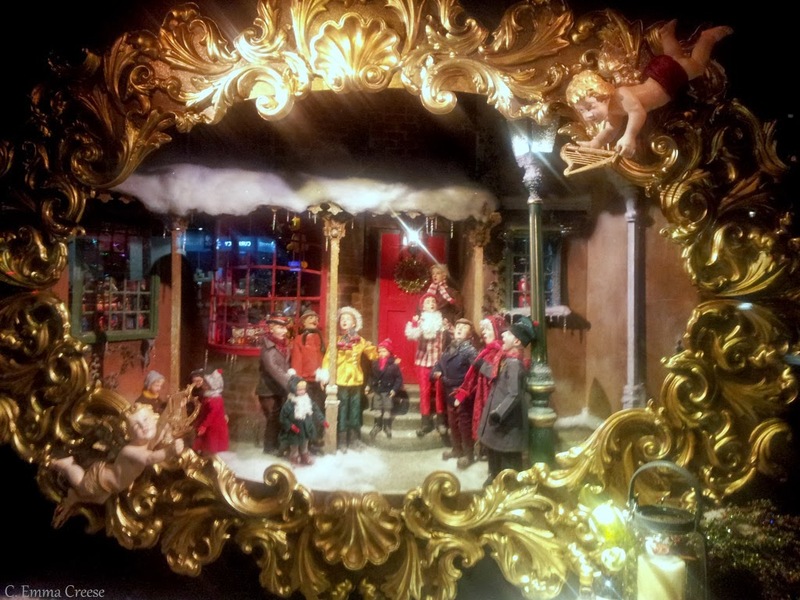 December, in England’s capital, is encrusted with beautiful street light displays, pine bough covered store fronts, carollers echoing on train station platforms and the smell of mulled wine seductively wafting from open pub doors full of chatter. 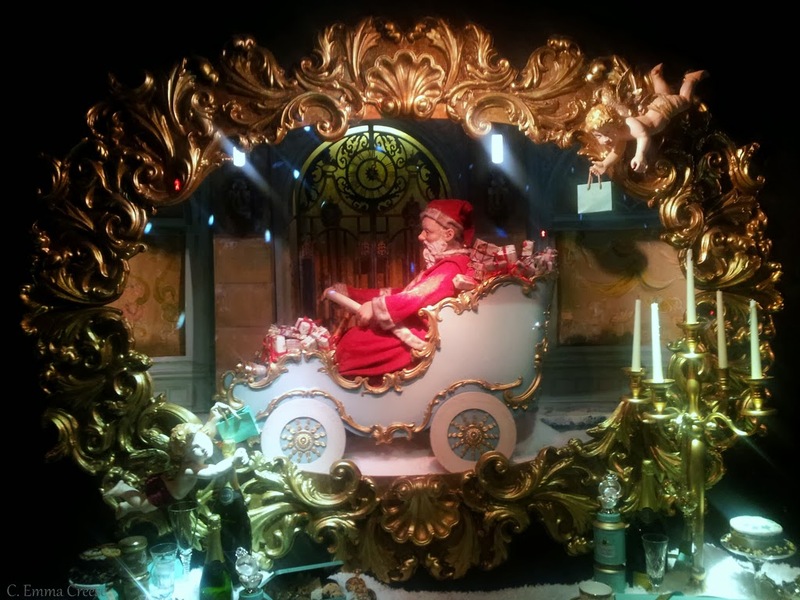 Every street has an individual character of twinkling decorations and many have over the top window displays, perfect for the season of excessive enjoyment. Some even have pedalo operators dressed as Santa, playing 40s Christmas carols to grannies, who sing their hearts out through the busy roads. 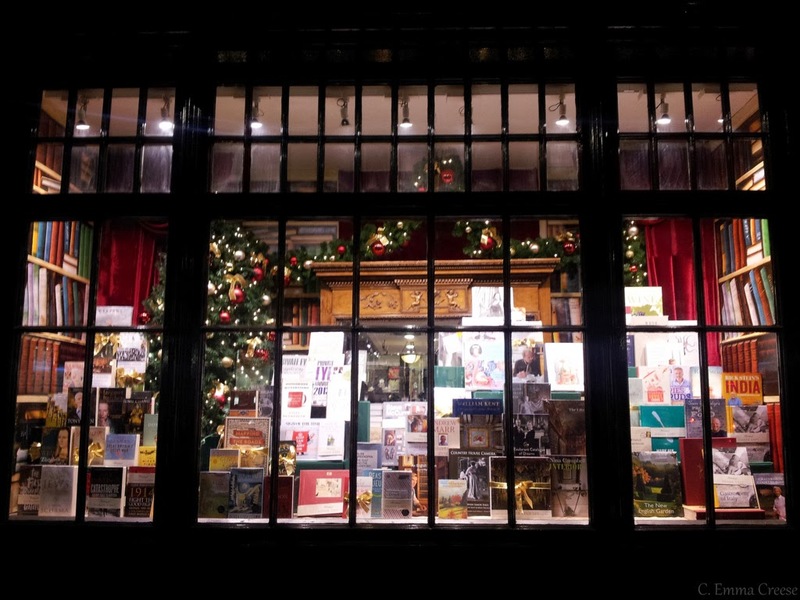 My favourites include many of the classics – Fortnum & Mason, Selfridges, Regent Street, Trafalgar Square and Oxford Street; but also many of the lesser known – Hatchards, St Christophers Place, Canary Wharf and Old Spitalfields Market. It’s a cornucopia of tinsel, baubles, festive characters, fake snow and sheer unadulterated joy. Oh, and commercial luring of frazzled shoppers. Thought up and hosted by the lovely ladies at Found Love, Now What and The Hemborg Wife in this months Expat to Expat linkup, thoughts are turning to holidays. Has your idea of the holiday season changed since becoming an expat? Yes and no. It’s always going to be totally family orientated no matter where we live. Whilst the trappings are fun and frivolous, and the fripperies and decorations are lovely , for us it’s just an excuse to spend quality time with family. 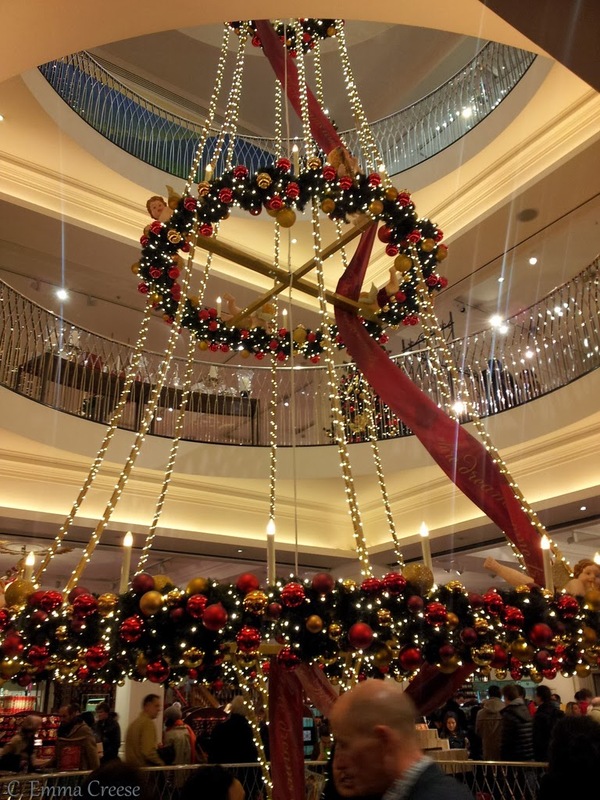 The nature of that time has changed since becoming an expat – time with my family is largely Skype oriented, but we still make a point of catching up over a cuppa and a mince pie – which we also do with Mr Kiwi’s family, but in person. The holiday itself has changed hugely. In New Zealand we have an unusual combination of the height summer and a British winter holiday. This year celebrating in London, instead of eating under an tented awning in the backyard, dressed in shorts and T-Shirts, we are awaiting the snow, rugged up in thick woollen jumpers (crazy Christmas theme sadly optional), snuggled around a roaring fireplace getting excited over the TV schedule and the gloriously golden Turkey coming out of the oven. The cold makes you feel infinitely more festive. Weird, no? 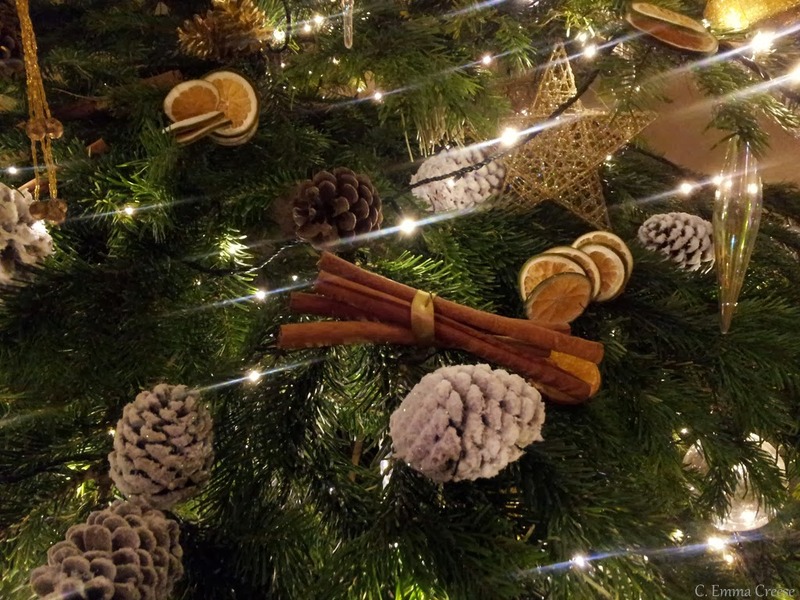 How do you build new holiday traditions, while keeping ones that remind you of “home”? We’ve made many traditions ourselves – every year we buy a new, usually relevant Christmas decoration, put up the tree as soon as I can convince hubby to get one, make Jaffa Slice, hang my Kiwi Christmas decorations, send hilarious New Zealand Christmas cards and watch the Covent Garden Christmas Pudding Race. Every year we make new traditions without realising it – last year I threw a Christmas afternoon tea for my nearest and dearest, and due to much demand it will be happening again very soon. 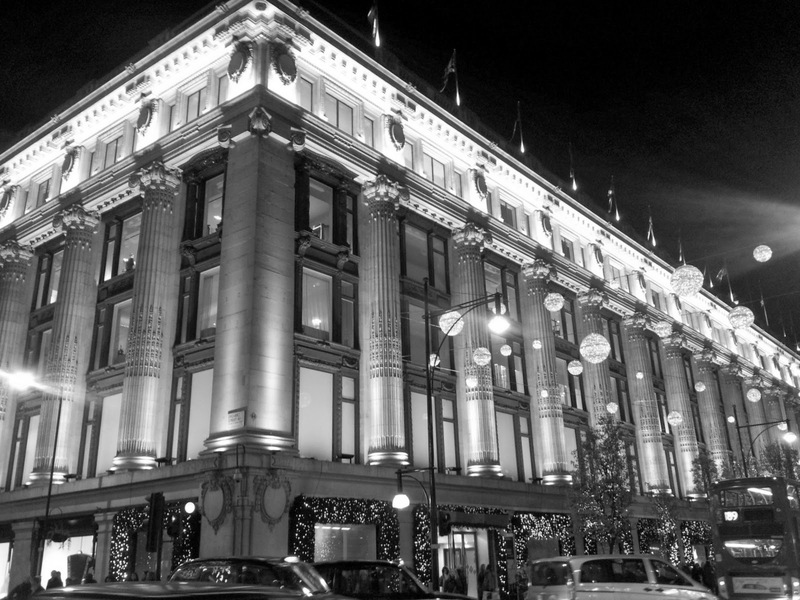 Selfridges, dressed in festive glamour. 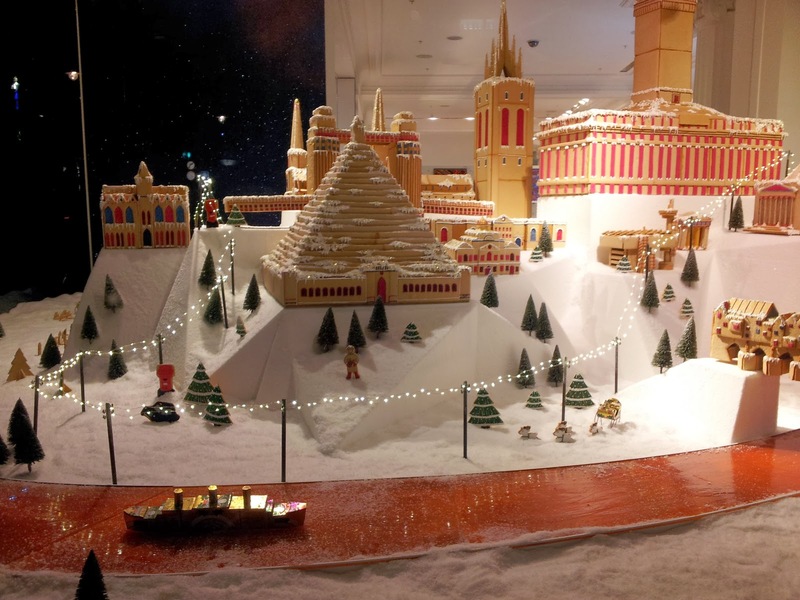 Lost London, buildings that could have been but weren’t – all modelled in gingerbread. 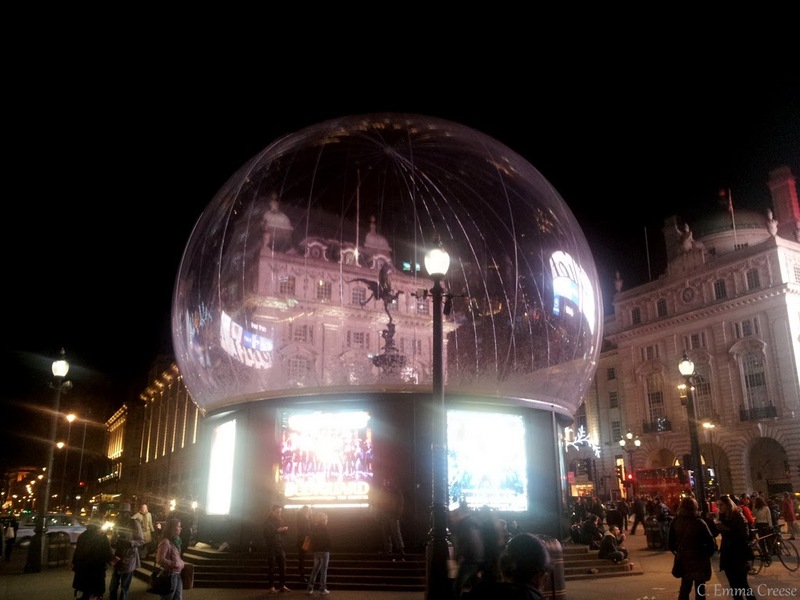 Oh, did I mention Eros, the worlds reputedly biggest Snow Globe? It’s a method to protect the statue from drunk hooligan damage, but equally an enormous example of English humour. Ps. Santa, if you’re beginning to pack your sleigh, Momma needs a new camera – just putting it out there… I promise I won’t lose this one!